I've made plenty of financial mistakes in my lifetime. I've had moments where I was way too spendy, and then moments where frugality came back to bite me. And I know I'm not alone! The other day I was wondering what sort of things I would change if I could go back to being a teenager and start over. What would I tell myself to do if I could talk to 17 year old me then? 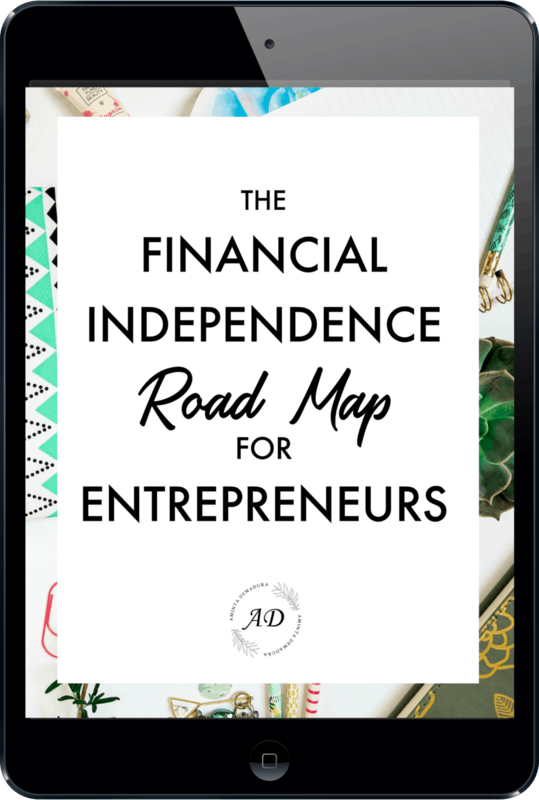 If you're just getting started turning your finances around or you're trying to figure out the big picture of how money and life come together, this post is for you. These are the biggest things I've learned about life and money in the last decade. 1. Automate your savings and investments! 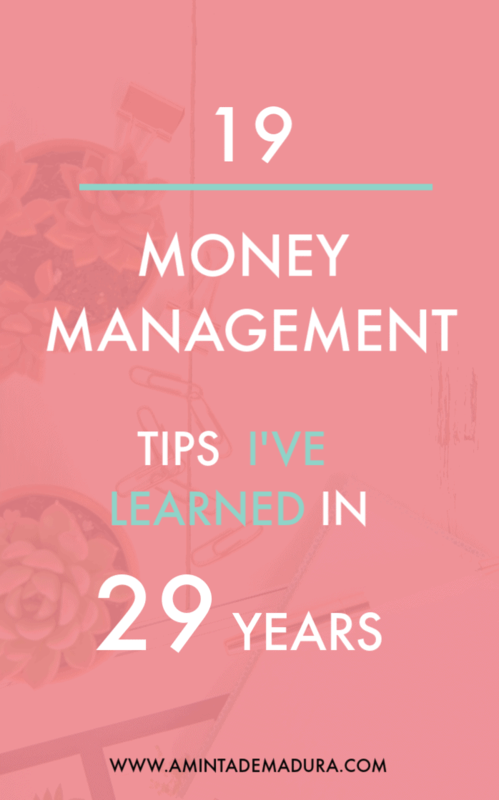 This one took me longer to figure out than I care to admit, but it is hands-down the number one thing that has made the biggest difference in my finances. I used to take turns budgeting meticulously and then failing to budget at all because I hated doing it. Then I would get to the end of the month and hope that the amount of money I wanted to save would still be there. Sometimes it was, but most of the time it wasn't. Then I read The Automatic Millionaire by David Bach and the author told me to pay myself first. Let me just say, since then saving has never been easier! My husband and I set up an auto transfer with our bank that moves our savings into our savings account at every paycheck. We never see that money, and so we never accidentally use it. The same thing goes for investing. I find that I always meet my investing goals when I make it automatic. I use the Acorns app to invest our spare change, and a Vanguard account for long term investing. Acorns is great because it rounds up the cents on each of my purchases to the next dollar, and then transfers that money to my Acorns account. I can easily withdraw it to my checking account whenever I want, or leave it there to accumulate. The more I think about it, the more I realize how insane of an idea it was for me to manually move the money every month. Life gets in the way, the whole household gets sick, you forget, you overspend on something and the money isn't there… let's be real. Things happen. One of the reasons I love automated savings so much is because it's pretty much mandatory budgeting that isn't a headache. Once our savings money comes out on payday, we can pretty much decide how we want to budget the rest, which is super easy. 2. Check your credit score often. That being said, checking your credit score every 6 months or so is a really smart way to make sure that you catch these things quickly were they to happen. And the earlier you catch it, the better your chances of recouping your money and repairing your credit score. I use Credit Sesame to check in on my credit score a few times a year. It's one of my regular little financial maintenance checks that only takes 30 seconds and saves me a lot of headache! 3. Being successful with money is more about your mindset than anything else. When I was younger, I thought being successful with money was all about the numbers. And to some extent, it is. But that being said, your mindset about money can have a huge impact on how much money you are able to make and save. If you have any weird limiting beliefs (just about all of us do! ), straightening out your mindset can help you to stop self-sabotaging when it comes to your finances. Everything changed for me when I read Jen Sincero’s You Are A Badass At Making Money. Jen is relatable, hilarious, and spot on with her analysis of common financial beliefs. I've read it multiple times and keep coming back to it every time I feel like my mindset is a little wonky. 4. Track your finances religiously. Now, I don't really recommend tracking every single penny in the literal sense. To some extent, I definitely feel that time is money and it can be used for better things than tracking down exactly where that $2.71 charge from an unknown source came from. That being said, it's almost impossible to win with money if you don't keep track of it well and pay attention to where your strengths and weaknesses lie. Thankfully, we live in an age where free software can do this all for us in record time! I use Personal Capital and Mint to set my budgets and track my spending. (Both of them are free!) Mint sends me an email if my spending looks significantly higher than previous months, and lets me know at any given time where I'm at with my grocery and spending budgets. Personal Capital helps me keep track of my investments and see how much I am able to save every month. 5. Index funds are where it's at. When I was 19, I really wanted to get started investing. I dabbled through some books and looked online a bit, but ultimately I got totally overwhelmed with all of the information and had no idea where to start. I gave up. Here's what I've learned since then. You don't need financial advisors or complicated investment accounts to become financially independent. All you need are a couple of basic Vanguard index fund accounts to get you on the path to financial independence. In fact, I would highly recommend avoiding financial advisors that may not have your best interest at heart. 6. Groceries are always the biggest hiccup in our budget. For some girls it's purses and shoes, for me it's groceries. I love making new, interesting meals and buying fancy ingredients. I don't know why, it's just my thing! Usually when I've overspent in any given month, it's on our grocery bill. You can read more about how we keep our grocery budget low despite living in the middle of Seattle here. Imperfect Produce has been a game changer for us. I regularly save $50-$100 per month using their service, and I love that as a nonprofit they support sustainable agriculture. 7. Buy inexpensive, but not cheap, clothing. When I was a teenager, we would just go to the mall to shop for clothes. They were cheap, cute, and they promptly fell apart a month or two later. While I thought I was saving money by staying away from pricier stores, I soon learned that cheap clothes just aren't worth it. There is a big difference between something being cheap and being an inexpensive. Cheap clothing is usually made with poor materials that are see-through or that rip easily. The fit is never quite right and they tend to fray and wear rather quickly. Thankfully there are plenty of ways to find inexpensive clothing that is still a medium to high quality. I frequently shop local thrift stores for new jeans, nice jackets, blouses, and designer items. ThredUp is my favorite online second hand store for finding great coats, dresses, and shirts at rock bottom prices. All of their items are in great condition, and many of them come new with tags. I frequently find designer pieces, handbags, belts, and kids clothes on ThredUp at half the price I'd find it in stores. Note: You can get a $10 credit towards clothes for you or the kids on Thredup here. Well, this one is pretty self-explanatory. On the whole debt is pretty limiting, and it's usually a sign you've been buying beyond your means. But even when it isn't (your mortgage for example), getting out of debt gives you freedom. Freedom to quit that job you hate, freedom to spend a few months traveling the world, or freedom to start a business without worrying about how you'll cover all of your credit cards and loans. The Total Money Makeover by Dave Ramsey was the book that really helped us get out of debt. 9. Get cash back on stuff you'd buy anyways. Ebates is one of my secret tips for saving 5%-20% on stuff you buy online. I signed up for a free account and installed their browser extension, and now Ebates automatically gives me cash back any time I purchase something online. I love it because these are things I planned on buying anyway, so it's just extra savings off the top. Ebates has partnered with hundreds of retailers, and the cash back percentage ranges from 1% to more than 25% depending on the retailer. I also downloaded the Honey browser extension, which goes through all of the discount codes it can find online and automatically applies them for me at checkout. Between Ebates and Honey, I often save 25%-40% on my cart whenever I buy things online. Win! ​Note: You can get $10 off your first $25 worth of items by signing up for a free Ebates account here. 10. Know when to spend more on an item. There are some instances where you definitely end up saving money by purchasing the more expensive high-quality version the first time around. For example, I only buy high-quality shoes, mattresses, and kitchen gadgets, among other things. I spent way too many years buying basic cheap shoes and wondering why they always looked terrible and fell apart. Now, I just spend the cash and buy pairs that last me for 5 years or more. Nordstrom and Clark's are my go-to’s for me and my husband. All that being said, buying quality doesn't always mean you have to spend a ton! I routinely buy quality, inexpensive items on ThredUp and Asos as well as my local consignment and thrift stores. I also use the Shoptagr browser extension to notify me when my favorite higher priced items go on sale. If you can be patient, you can get some great discounts on these bigger purchases! 11. Read financial books often. Your Money or Your Life by Vicki Robinson & Joe Dominguez (for the big picture). 12. Financing a brand new car is a really bad idea. Ask me how I know! There are so many other options if you need wheels. You can save up for a used car, car share, walk, bus, buy an e-bike, or take Uber if you live in or near a city. We sold our brand new car just six months after buying it. Then, we got an e-bike with a kid trailer and supplemented our rides with a bus pass, Zipcar rentals, and Uber rides in between. 13. If you are entrepreneurially inclined, starting a business can be one of the best decisions you ever make. 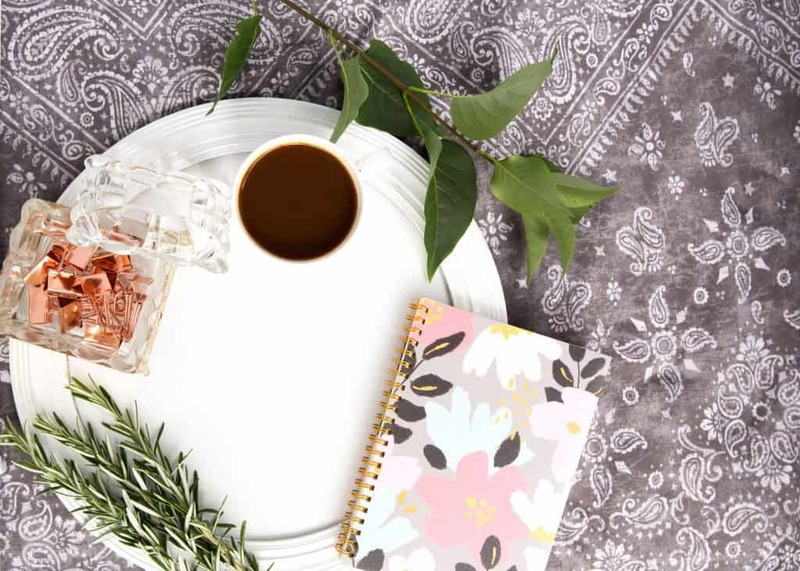 I've started multiple businesses in my 20s, and I'm so glad I did! I've made more money, had boatloads more freedom, and learned a ton from all of my entrepreneurial experiences. If you’ve been thinking about starting a business, now’s the time to do it! Don’t wait until you think you have all the knowledge you need. Plans will change. And if you're interested in starting an online business, you can check out my complete guide on how to start a blog here. 14. If university isn't for you, don't stress it. Higher education is a great thing, and for most people it changes their lives. But for some of us, it's just not the right fit. I completed three years of higher education. I started with two years at a community college and then did a year at a public university studying business. I always knew that I was a die-hard entrepreneur, but I was encouraged to go to college and I believed that if I studied business it would help me become an entrepreneur. Unsurprisingly, it didn't take me long to realize that this couldn't have been further from the truth. So, I dropped out and started multiple businesses thereafter. No regrets! If you know in your heart of hearts that university isn't for you, know that that is totally okay. You'll make it! Just work hard and keep educating yourself and investing in yourself in other ways. 15. Your income is your best wealth building tool! Saving is great, but you can only cut so much. If you cut your budget to a reasonable living amount, the next step is to increase your income. There are tons of ways to do this. You can ask for a promotion, get a better job, improve your business if you're self-employed, or take on a side hustle. This post on the best side hustles to make extra money each month should help you out. 16. Don't let people tell you that kids are too expensive if you want to become financially independent. Now, if you don't want kids, more power to you! Enough of this societal garbage pressuring everyone to have kids. You don't need to. But if you do want children, I strongly suggest ignoring all the FI junkies who say kids are too expensive. If you do it right, they aren't, and the joy they bring is priceless. I personally wouldn't sacrifice having my child for any amount of money in my investment account. Now of course, it's a good idea to find ways to save where you can. Without a plan, kids certainly can be expensive. I shop for kids clothes at my local thrift store and through Thredup, and often find great baby gear on Craigslist and kids consignment stores. There are also great deals to be had on local buy sell trade groups and town-specific Facebook parenting groups. A few things to never buy used however, are car seats and helmets. Buy those new! 17. Invest in yourself and in your education. For me, investing in myself means a number of things. It means that I feed my body with deeply nutritious organic food every single day. It means that I purchase the tools I need to grow my business successfully, like Six Figure Blogger. It means that I am constantly reading books and joining workshops that will help me get to where I want to go. Conferences are next on my list! 18. Move any leftover money in your checking account to your savings on payday. So you saw that my number one financial tip is automating your savings and investment money right? Well the second thing I do is wait until payday and then move any left over money from our checking account to our savings account. This ups our savings a bit more beyond what we automated, and it also lets us start each month fresh with the same amount. 19. You rarely need to pay full price for activities. I use Groupon all the time to get half priced tickets to science centers, children's museums, outdoor activities, and services like pedicures, eyebrow threading, and more. You can get groupons for restaurants too, although I haven't tried it. This can be a great way to save money and check out new places you've never been. Just make sure you tip well! 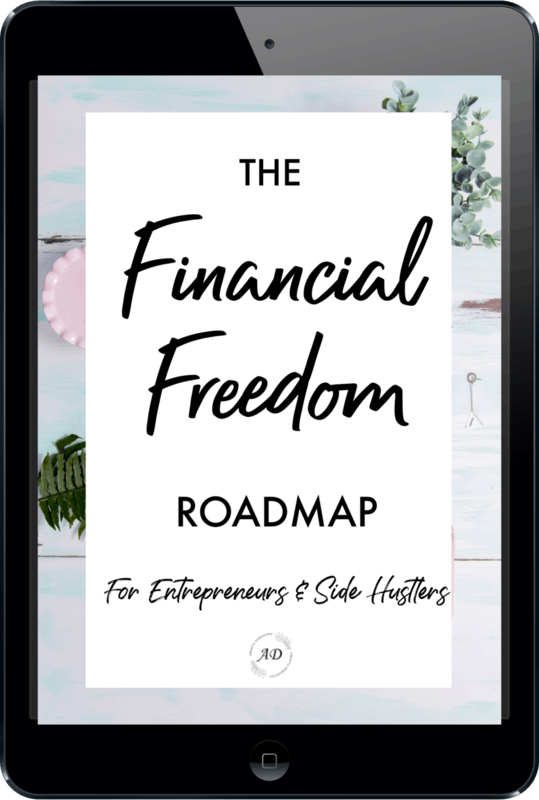 The Financial Freedom Road Map will show you how to get use your business or side hustle to drive simple investments and never have to work again. Join the FIRE Hotlist and receive the road map as a perk of becoming a subscriber.